On sale now at Phog. 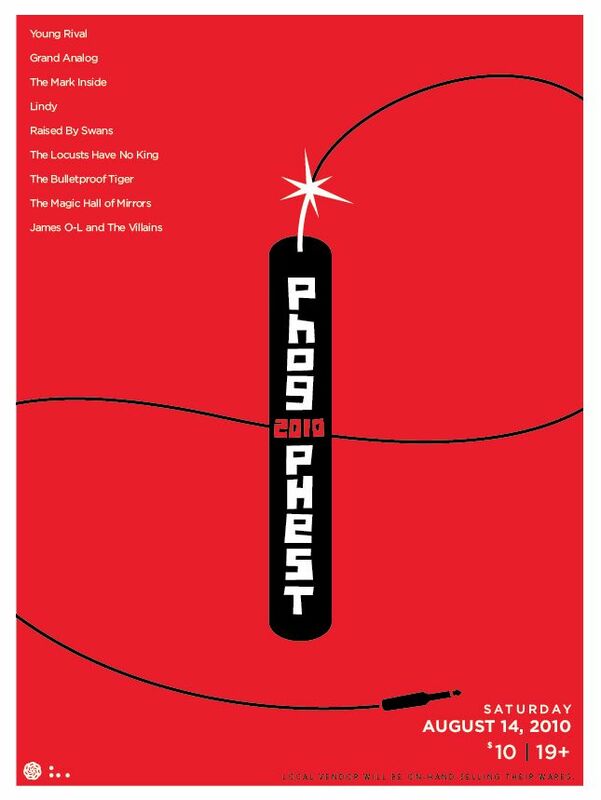 Phog Phest 2 boasts bands that have treated Phog as their home. As their headquarters. Not just local bands, but the ones from out of town that continue to find us and connect beyond the music. Or, these performers have made strong connections with Frank and Tom, and with the Windsor music community at large…and they were all available this weekend!! This year, the festival will have far fewer bands than the multi-stage marathon last year. We know this will make the event far more enjoyable for all attending. This way, there will be less insanity between sets. Longer sets from bands you love. This made it very difficult to figure out who to ask to play, but with an annual event (and more special surprises to come in the future months) we know we’ll get to everyone we love and appreciate eventually. It is a 19+ event, as we are selling alcohol at the festival. We welcome all under 19 to get vantage points in the neighbourhood surrounding the lot so they can enjoy the music too. Local vendors (business owners we know and appreciate) who’s products suit the “booth aesthetic” will be selling their goods on the perimeter of the event to those looking for cool Windsor clothing, jewelry, and art.